For all your hand stretch packaging film needs, discover the difference of this hand stretch films superior strength, puncture resistance, and reduced costs. This hand wrap film is high clarity and will wrap loads fast and with little to no effort. 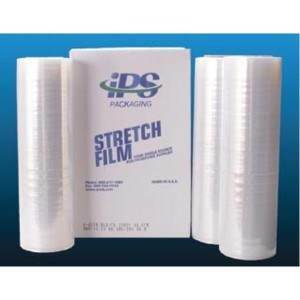 Our stretch film has a great variety of applications as an industrial packaging product. We are able to offer a range of stretch film products, including both cast stretch film and blown stretch film, and other special products such as biodegradable stretch film and Pre-stretched film. Our stretch film wraps are also available from 60 gauge to 120 gauge for various load types. Available in sizes: 12", 15", and 18"